Laptops, cameras, jewellery and even 18 carat white gold Rolex Oyster Perpetual watches get lost, stolen and damaged when travelling. Making a travel insurance claim requires Proof of Loss - finding receipts for purchase, photographs and valuations, and making a police report within 24 hours of the theft, damage or loss. What are your chances of receiving a payout if not all your Proof of Loss paperwork is available? Your chances are good so long as you do not change your story about how the items were stolen, damaged or lost, and you are persistent in pressing your claim beyond the insurer to the Financial Ombudsman Service, and then to a Consumer Tribunal or a Court. What Proof of Loss is required to make a travel insurance claim for valuables? It is often difficult to satisfy Proof of Loss requirements when making a travel insurance claim for personal effects which are stolen, damaged or lost. Complete a written Proof of Loss report form and return it to the insurer within 30 days. Travel insurers will decline a claim if the police report, valuations, original receipts or proof of ownership are not satisfactory. FOS determines disputes involving travel insurance claims, if the insurer rejects a traveller’s claim. FOS issues determinations on these disputes, which contain useful insights. Determination case number 227488 The insured’s claim was for the contents of a suitcase, which was not taken out of a taxi in Makati, in the Philippines, because it sped off. She tried to report the theft to the local police, but she was told to go to the Public Prosecutor. She completed a statutory declaration at the Town Hall which satisfied the reporting requirement. She claimed $9,700 for a Louis Vuitton Boite Bijoux jewellery box which she alleged was purchased on 5 May 2006 by her friend M in Paris. Her claim failed because she failed to prove ownership – there was no proof of purchase and no photographs. She also claimed $3,115 for a Cartier watch. Based on a receipt for the purchase and two subsequent valuations, that claim was accepted. 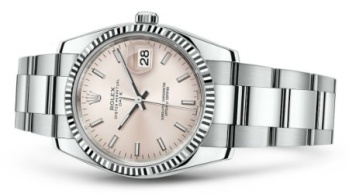 Recently, a claim for the loss of an 18 carat gold Rolex Oyster Perpetual Watch, was considered by the Supreme Court of New South Wales, on appeal from a Local Court Magistrate. The decision is Kalloghlian v Chubb Insurance Company of Australia Ltd  NSWSC 902 (Davies J). The facts were: The traveller ‘lost the watch whilst at Copacabana Beach in Rio de Janeiro in July 2014. It either fell off his wrist or was taken from him by an unknown person. He made no formal report of the loss to a police station’ (he said he tried to do so, but the police were not interested). He had ‘no receipt or other documentation relating to the purchase’ (it was purchased from a jeweller in Syria with funds from his parent’s account), and had no travel documents because he had lost his passport and had travelled to Syria by car. He did have evidence that the watch was cleaned in June 2014. He claimed $25,000. In short, the insured needed to overcome the deficiencies in the Proof of Loss by issuing legal proceedings and giving evidence in a court. Justice Davies reviewed the Magistrate’s reasons for decision and found them to be deficient. He concluded that the Magistrate had not sufficiently considered the insured’s evidence. He did not decide the claim, but remitted the case to the Local Court for a re-trial before a different magistrate. This decision of the Supreme Court of New South Wales goes to show that in cases where all the requirements of a proof of loss are not available, issuing court proceedings is a way to overcome the lack of Proof of Loss. Cordato Partners assists in preparing applications to FOS and looks after Consumer Tribunal and Court claims for travel insurance claims.